I Heart My Glue Gun: What a nice birthday! Thank you for all the birthday wishes, friends! I had a delightful birthday, and got some really cool gifts! I got the TOMs I had been wanting from my "baby" sister! 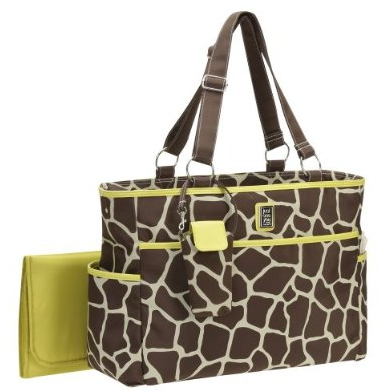 I also got this FABULOUS new diaper bag, which was much needed since I still have TWO babies in diapers! I opened a few more gifts, we had an amazing dinner, and carrot cake for dessert! Such a great day. Love that mirror wall! I can't wait to see the rest of the room.